Can you buy luxury for less than $40k? 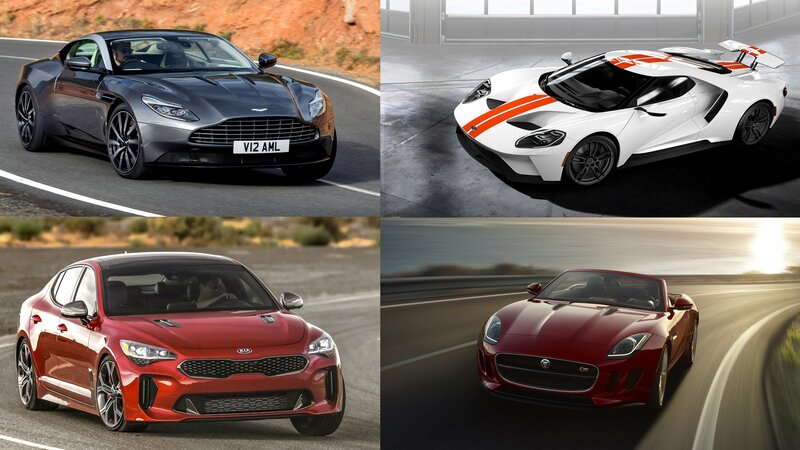 Consider these seven SUVs produced by companies who are focused on bringing better than average quality, more engaging driving characteristics, and better reliability than others. 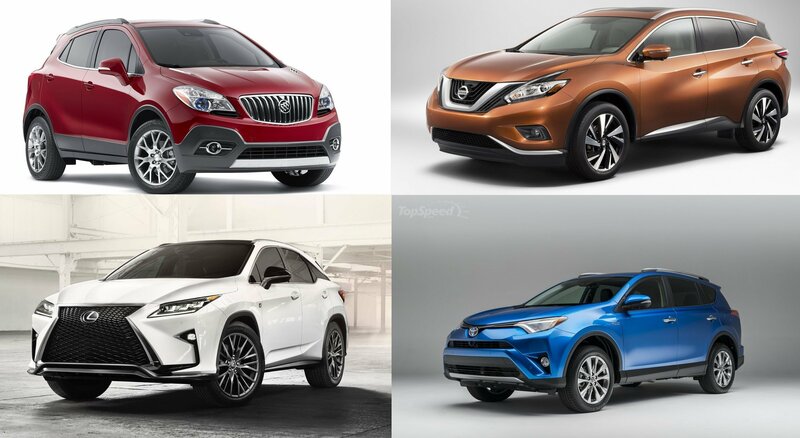 All of the SUVs here are residing in the compact SUV segment, but that shouldn’t deter you from choosing one of them as each one gives a unique take on what is basically the most popular segment today. 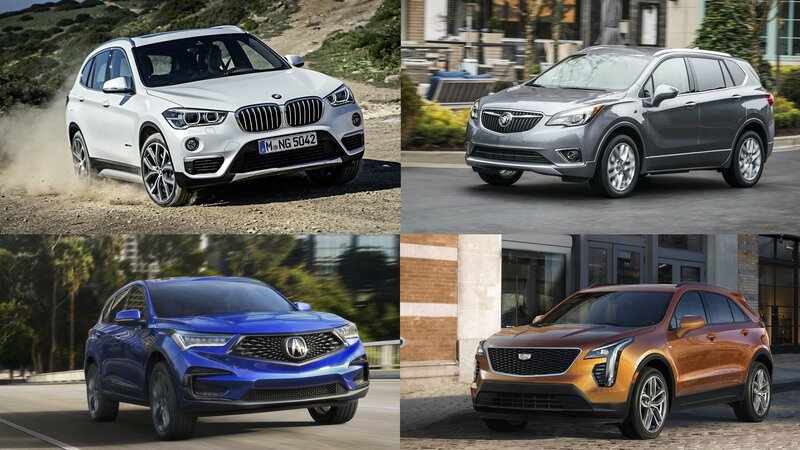 All of the crossovers listed here are of unibody construction, basically taking technology and the driving feel from smaller cars and adapting it for SUV/Crossover lovers. They are the pinnacle of compact SUV design. Back in the early 2010s, Lexus was missing out on a prime segment – the compact SUV/crossover segment. It had most other SUV segments covered, but was still coming up short. Then, in 2014, the curtain was raised and to our surprise sat the Lexus NX, an all-new SUV that was destined to slot below the RX and give Lexus the fighting chance it needed in the compact crossover segment. As a 2015 model, it went on sale in late 2014 and showcased the usual spindle grille and bold styling that’s normally associated with Toyota’s luxury arm. But, in a world where SUVs and Crossovers are very competitive, you’ve got to keep things fresh. That’s why we’re looking at the model you see here, a refreshed NX with all of the bells and whistles that’ll keep it relevant for the next few years. Highlights include new headlights and taillights, an updated grille with new mesh, an all-new front fascia with larger corner vents and longer LED fog lights and running lights, and some minor updates inside to help keep things fresh there, too. The interior can now be equipped with a 10.3-inch infotainment display. It’s an option you’ll have to pay for, but is a big deal considering you can only upgrade to a seven-inch unit in the current model. There’s a revamped HVAC control console that is more ergonomic while the analog clock grows a little bit for 2018 and can now adjust to different time zones automatically. Most controls and switches inside now feature a metallic satin finish, providing a more premium look while the touch interface pad has been enlarged a bit for easier use. Finally, the USB ports have been repositioned, and the wireless charging tray has grown because it’s all about cell phones the size of bricks these days, right? There are some other minor changes to discuss, so keep reading to learn more about that. 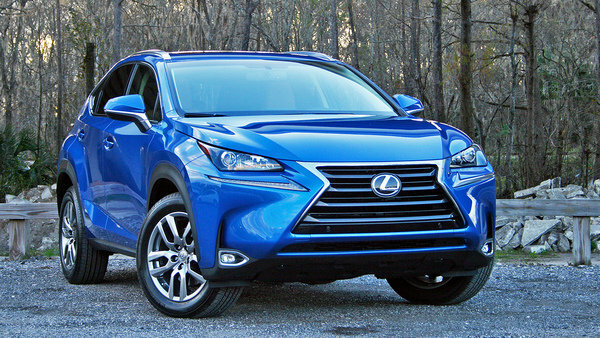 Not that it really needed it, but Lexus went ahead and gave the NX crossover a facelift anyway. 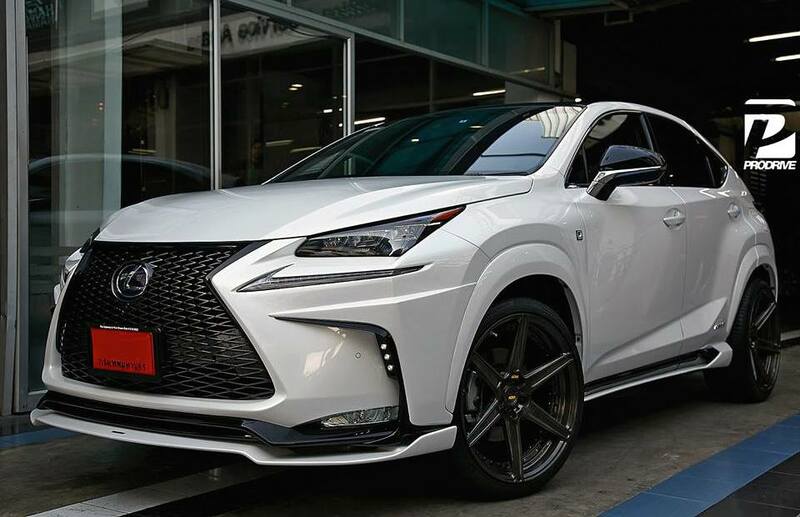 Unveiled at the Auto Shanghai, the 2018 Lexus NX comes only with a few slight upgrades, which is understandable, because, like we said, it didn’t really need one. 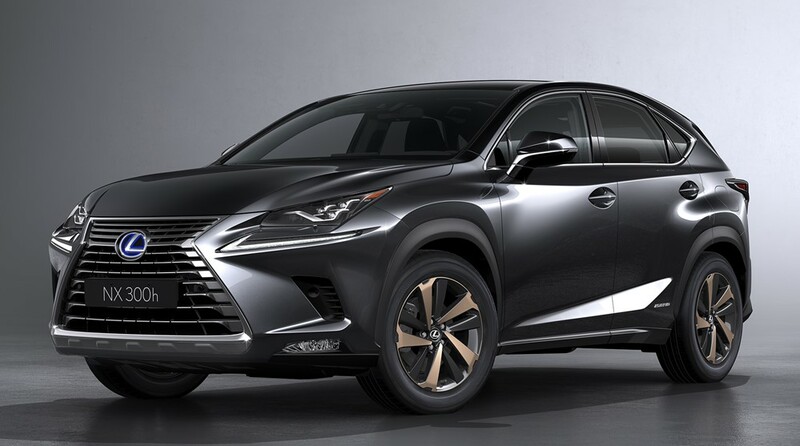 At any rate, the subtle changes on the outside of 2018 Lexus NX include a revised front-end with upper portion of the grille and the front bumpers redesigned to more fluidly blend into the hood and front doors. It may not be noticeable, of course, unless you view the new and the old models side by side. There is also satin and smoked chrome trim pieces on the famous grille. Around the back, the lower rear bumper cover now involves elements of the grille’s spindle motif, and has been broadened to give the car w wider stance. The new NX also features larger chrome-tipped exhaust tips that are integrated into the vehicle’s revised bumper cover design and new rear underbody spoiler. Inside the cabin, 2018 Lexus NX comes with larger available display on the center dashboard, which has grown from seven inches to 10.3 inches. Also, the design of the HVAC control panel has been dramatically simplified by replacing the small section of buttons with four easy-to-operate toggle switches adorned with a tiny “L” on their surface. These changes are meant to give the cabin a sportier look and feel. What’s more, most of the switches have now a metallic satin finish to look more premium. A major change is the renaming of the NX200t to NX300 (it still gets a 2.0 liter turbo four-cylinder) to make it match the NX300h hybrid which has a 2.5-liter inline-4 combined with a pair of electric motors. You also get Lexus Safety System + as standard. As for the F Sport version, the highlights include mesh grille with jet-black plating and exclusive wheels that feature a bright machined finish with black solid paint, plus Metallic Sport interior trim ornamentation. 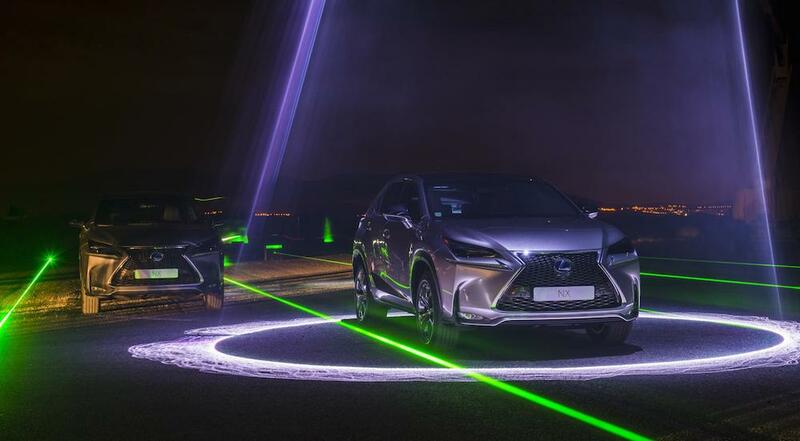 The post Official: 2018 Lexus NX appeared first on Motorward. 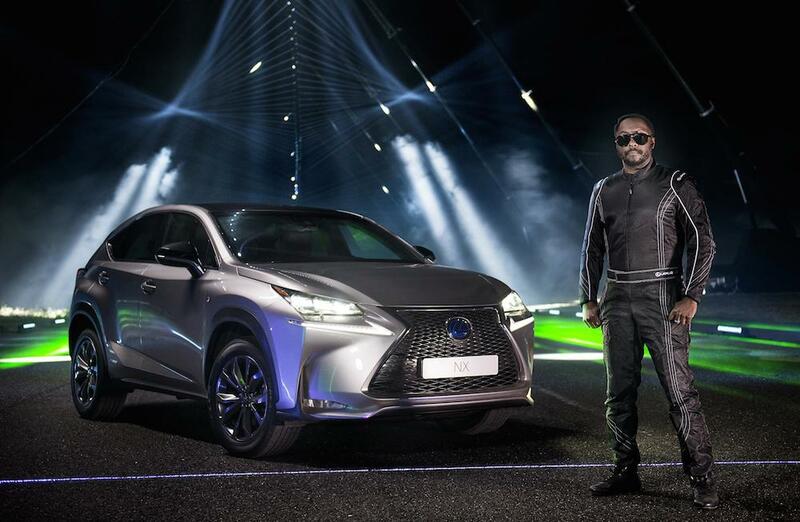 The Lexus NX Sport has arrived at the 2016 Paris Motor Show and just like the Lexus CT and IS before it, the NX comes to the event wearing the “Sport” trim. 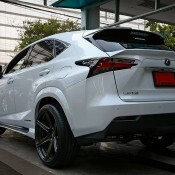 Lexus touts the NX Sport trim as a unique variant of its crossover model, largely because of the exterior and interior modifications the model has been given to showcase a more aggressive side to the NX. In a nutshell, it’s still an NX, but it’s a sportier and more menacing looking NX that comes with an inherent confidence about itself. Subtle cosmetic upgrades is the name of the game with the NX Sport. The exterior, for instance, gets a blacked-out front spindle grille and grille frame, which strikes a far more imposing visual appeal than its chrome counterpart. The crossover’s mirror housings have also been finished in black, and the special set of 18-inch black alloy wheels finish off the exterior additions to the NX’s makeup. Move inside the cabin of the NX and you’ll be greeted with a few silver inserts and a leather upholstery that can be dressed in either black or a unique fabric that Lexus is exclusively offering for the Sport trim. The Sport trim will be available for both the NX 200t and the NX 300h. Current owners of either variant can also oder the Sport package if they so desire. Just don’t expect anything more than the promised upgrades on the exterior and interior. The Lexus NX Sport is all about the giving the NX a fresher and sportier look, both in the body and in the cabin. Nothing more, nothing less. The crossover craze has hit nearly every automaker without prejudice, including Toyota’s luxury brand. Lexus first joined the party back in 1999 with the mid-size RX. After nearly two decades worth of outstanding success, Lexus expanded its crossover segment in 2015 with the NX. This compact crossover now acts as the brand’s entry level SUV, aimed at a younger and marginally less affluent audience. The NX still carries that Lexus look and feel. Its sharp angles and large Spindle grille makes it stand out from the luxury crowd. Since its launch, the NX has come in two forms: the NX200t with its turbocharged four-cylinder, and the NX300h with its hybrid powertrain borrowed from the Toyota Camry. Both can be had with and without Lexus’ F Sport handling and appearance package. What you see here is the NX200t dressed in its standard, non-F Sport form. That means the Spindle grille is actually toned down a bit, its interior is slightly subtler, and its suspension gives a cushier ride. Naysayers of the NX will call it a glorified Toyota RAV4. While that may be true to a point, the NX only shared is basic structure and wheelbase with the Toyota. Unique suspension set-ups, wheel and tire combinations, powertrains, and of course styling make the NX its own machine. Having driven both the NX and RAV4 nearly back-to-back, I can vouch for the NX’s more Lexus-like ride. The Lexus simply feels more premium. So what’s the 2016 Lexus NX200t like to live with? Keep reading to find out. Lexus is establishing themselves as an authority in creating pointless, senseless marketing campaigns for cars that are already doing good in the market. It’s like they get bored and because they have a lot of money to spare, they come up with silly ideas… like putting ice wheels on a Lexus NX. Now if you are thinking this is the single most stupid thing you have ever heard, well, you are probably right. Apparently, they’ve gone through three months of intense research and spent loads of money hiring Hamilton Ice Sculptors to make the wheels… just so they can drive it for ten-seconds at one mile an hour before the wheels started melting! The Lexus NX to which this ice wheel treatment was given had been deep-frozen and stored for five days at -30°C. So there is one fairly good point Lexus can make with this and that’s their claim that the NX started on the button after that five days, which itself seems like a bold claim. There is also something to be said about the precision involved in making those ice wheels, as they had to tolerate NX’s 2.2-tonne mass. At any rate, we will probably see more of this pointless shenanigans from Lexus in the future. If you have silly ideas like this, get in touch with them. They might pay you a big pile of cash for it. 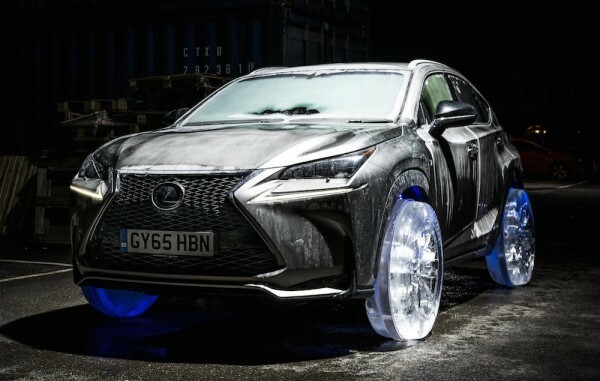 The post Lexus NX Gets Ice Wheels for No Good Reasons appeared first on Motorward. Lexus has been making a name for itself as one of those companies that does some pretty outlandish things. 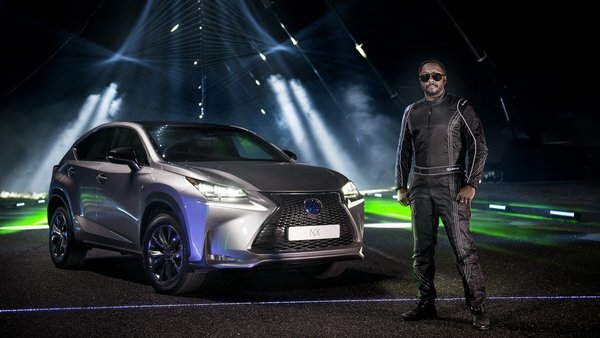 Let’s face it, it designed that weird electroluminescent paint that picks up and pulses with a driver’s heartbeat, then there is the Lexus hoverboard, and let’s not forget about the laser and sound show they put together with will-i-am. Just when you think you’ve seen it all, Lexus decided to take it one step further. This time, the company put a Lexus NX on wheels made of ice. Go ahead and read that last sentence again, I really did say the automaker put a NX crossover on ice. Lexus didn’t do the deed all by itself, though. It enlisted the help of Hamilton Ice Sculptors to sculpt and create four special wheels made primarily of ice and a couple of other compounds to help the ice support the weight of the two-ton NX. In the end, it took three months of research, design and testing before the project was complete. 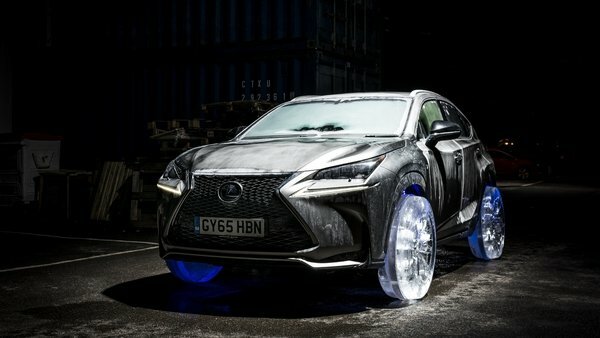 And, that Lexus NX had to be stored for almost a week at -30°C (-22°F,) before taking to the street of its “ice-wheel run.” We don’t know how long the car was actually driven, but it did take to the streets of London, looking like it had just emerged from the coldest icebox imaginable. Check out the two linked videos for yourself, it is pretty cool to see. Those blue LED lights give a bit flair to the already interesting project. Lexus has been at the forefront of weird technology that doesn’t directly relate to cars lately. From the first working hoverboard to the electroluminescent paint that pulses in time with the driver’s heartbeat, Toyota’s luxury division certainly has a knack for publicity stunts that make you say “huh.” The latest of these was done with the help of will.i.am, for a performance of sorts of a remixed version of his song #thatPOWER, and you’d be forgiven for thinking it was fundraiser to finally get some proper use of punctuation and capitalization. Lexus Europe got the use of an airstrip in Spain and brought three 2015 Lexus NXs and stunt drivers. A series of motion-sensing lights and lasers were set up, and the aim was for the stunt drivers to hit the lights in time with the music. Failing to hit the points at exactly the right time would cause the whole system to restart. In essence, this is a giant game of Rock Band with cars, and where will.i.am is also riding along with you and making fun of you when you don’t get it right. What it accomplishes is less clear, but it’s entertaining to watch. The video makes use of Will’s hit single #thatPOWER, the only song ever with a hashtag in its name, hundreds of motion and sound-sensitive lights and lasers and three Lexus NX crossovers driven by stunt drivers. In the video we see Will using the NX to hit a sequence of laser targets which in turn activate the sound sensors, thus creating music by movement. With striking looks, a turbo engine and a hybrid powertrain, you would think that Lexus NX has no need for elaborate promotional campaigns. But hey, while Lexus has Will under contract they might as well use him! The post WILL.I.AM Creates Lexus NX Laser Show appeared first on Motorward. The new Lexus NX crossover is still too fresh to have many tailored styling packages, but they are coming, and they’re looking good. A while ago we looked at what Wald has to offer for the Japanese SUV. 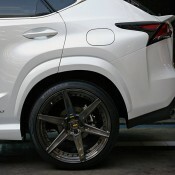 Now let’s check out a custom ARTISAN Lexus NX rocking a set of unique ADV1s. This car was put together by Thai tuner ProDrive (not to be confused with the famous British firm), using an ARTISAN Spirit body kit and a set of custom ADV1 wheels. The white paint job on this Lexus NX does take away to some extent from the visual impact of the kit, but still, you are not going to confuse this car for a stock NX. 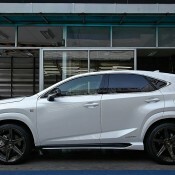 The ingredients of ARTISAN Lexus NX styling kit include a front chin spoiler designed to complement the unique stock bumper, aero dynamic side skirts, rear diffuser, and a couple of spoilers, one on the roof and one adorning the tailgate. 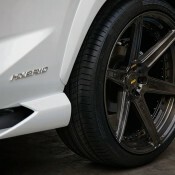 The biggest highlight though are those flared wheel arches which give the whole thing a nice wide body look. 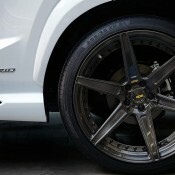 The kit is complemented with a set of 21-inch ADV6 mv2 SL rims with Smoke Titanium finish. ProDrive’s Lexus NX is a based on a 300h hybrid model featuring a 2.5-liter Atkinson-cycle gasoline engine and a new automatic transmission with integrated electric motor and a unique kick-down feature. 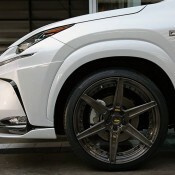 The post ARTISAN Lexus NX on ADV1 Wheels appeared first on Motorward.